How Can Dark-Skinned People Make Their Skin Lighter? Skin color is a personal and often volatile subject. Many lighter-skinned people pay money to tan or even risk skin damage through prolonged sun exposure to turn their complexion darker. And the same is true of the opposite, with some dark-skinned people trying to lighten their skin. While every skin color is beautiful, it's often hard not to want what you don't have. Many big-brand makeup companies have skin-lightening products, though they can cost quite a bit of money. But you don't have to spend a fortune to get a lighter shade of pigment. Avoid further sun exposure. If you're planning on going outside for long periods of time during the summer or in tropical climates, coat on a layer of sunblock and make sure to reapply from time to time. This not only ensures that you don't get darker, but also that your skin has the opportunity to get lighter. Exfoliate. Your body is constantly shedding skin, rather like a dog sheds fur or a snake sheds its scales. Unlike a wriggling reptile, however, you don't have to wait for nature to take its course. Get a container of body scrub, sugar scrub or some other exfoliating beauty product, put some on a loofah and run it over your body. Make sure to push the loofah firmly against your skin as you do, though not hard enough to cause any irritation. 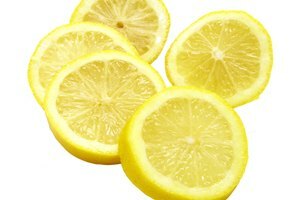 This will remove dead skin cells, which automatically lightens your skin tone to some degree. For continuous and improving results, repeat once or twice a week. Treat your skin with natural products. 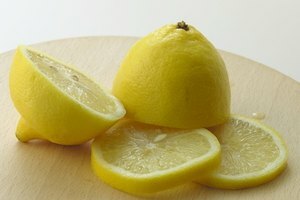 You may have already heard how lemon juice can lighten your skin color because of its cleansing properties. But it isn't the only household product that performs that particular trick. 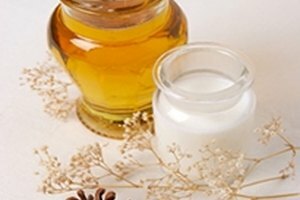 Milk is a natural skin lightener, as are honey, milk and licorice extract. Regardless of which one you choose to use, apply the product directly to your skin and let it sit, rinsing it off after 15 minutes or so. If you use milk, the best way to apply it is by first soaking a washcloth in milk and then running it over your skin. With honey, try applying with a plastic or silicone basting brush for a more even coating. And always test the product on a small portion of your skin before you try it on the rest of your body.